It is important to treat a wart in a timely fashion. If you or a family member has been diagnosed with a wart, it is important to start a timely and thorough treatment plan without delay. If you don't, chances are there could be consequences for delaying. What happens if you wait? 1. It can spread to other parts of your body. 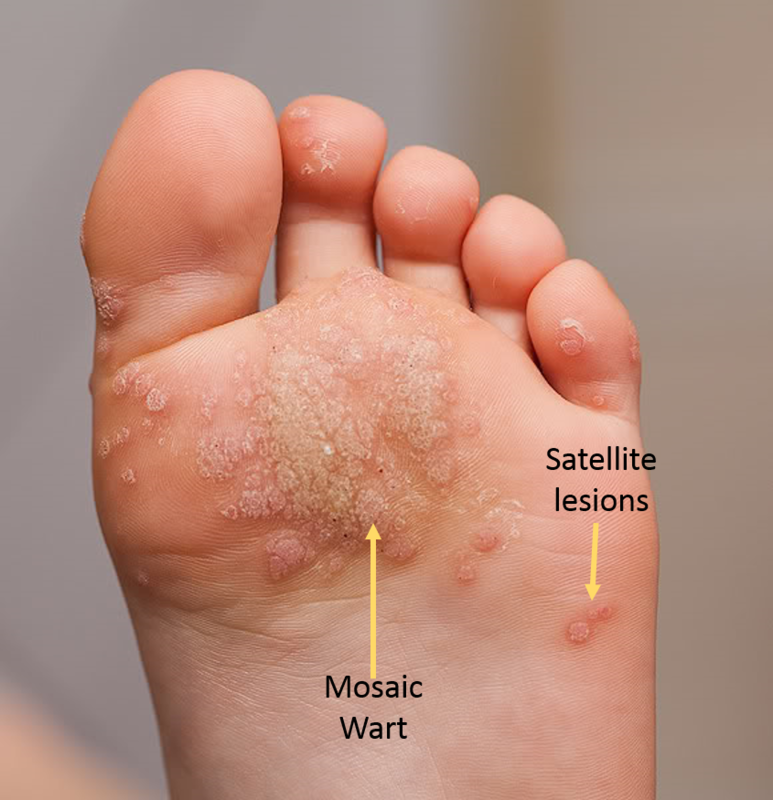 A wart is a virus, and it is present everywhere in our environment. It invades the skin on your foot if there is a crack or break in the skin or small cut or scrape, causing an entry point. However if it is already present on one foot or one toe, the chances of it spreading to the other foot or other toes are greater because of its proximity. 2. It can spread to another family member. Since family members may share the same bathtub or go barefoot on the floor and carpet, its presence is even more evident. This is especially true if a patient picks at the wart and it is spread through direct contact. 3. If left on your foot untreated, the larger it can grow. This can cause more pressure and more discomfort if it is on a weight bearing area on the bottom of your foot. 4. The longer it stays, the longer it may take to get rid of it. Part of our treatment plan at Prairie Path Foot and Ankle Clinic involves stimulating your own immune system to help fight the virus. The longer the virus is present, the longer it remains undetected by your immune system, until treatment is started. So don't delay in the diagnosis and treatment of your wart. At Prairie Path Foot and Ankle, we can help diagnose and start a treatment plan immediately.